The residence of Confederate soldier Felix G. Bilbrey is owned today of Magdalene Gilpatrick and husband Lon Gilpatrick and is located at 517 Zachary Street in Livingston. The featured home this week is located at 516 Zachary Street, Livingston, and is owned by Magdalene (Walker) Gilpatrick and husband, Lon Gilpatrick. The home is believed to have been built in the early 1900's by Felix Grundy Bilbrey, a Confederate soldier, and was later owned and lived in by one of his son’s, Ridley Timberlake Bilbrey and family. Additional property Felix G. Bilbrey owned at the time he built this house included lands that today lay on both sides of North Bussell Street, including the area where the McGill home (formerly Dr. H.B. Nevans) sits at the top of the hill. The Bilbrey residence was purchased in 1966 by Magdalene Walker (now Gilpatrick) and her first husband, the late Addison Walker, from the heirs of Mrs. Ruth West Bilbrey, widow of Ridley Bilbrey. Some very interesting historical information about the Bilbrey family tells how three Bilbrey brothers, Iaham, Lawrence, and Johnny, along with their wives and children, traveled across the Smokey Mountains to settle near a spring at the head waters of Roaring River in Oak Hill. Lawrence Bilbrey, one of these three brothers, and grandfather of Felix G. Bilbrey, was buried at Gum Grove (Duncan Bottom) and during the time Dale Hollow Lake was formed, his body moved to the cemetery at Hatcher Hall. "Uncle Felix as he was familiarly called in Livingston, has been well known and a familiar figure on the streets here for more than half a century. He was a Christian gentleman, a member of the Methodist church here, and a well known and active Democrat. Very few men of his age remain act in body and mind, but Uncle Felix was an exception. He walked as straight as any young man in town, tall, with head erect. He looked the part he had always played in life, a real man." "During the war, he was in Captain Joe Bilbrey’s Company F under the command of General George Dibrell, 8th Tenn. Infantry, and served also under Nathan B. Forest, the wizard of the saddle. He was an active and daring soldier, frequently assigned or detailed to hazardous duty, and was highly regarded as the most daring soldier of his company. He was in the battles of Neelys Bend, Nashville, Chickamauga, Franklin, Murfreesboro, Missionary Ridge, Lookout Mountain, and perhaps others. On last December 10, Esquire Bilbrey’s birthday, he told a writer about the battle of Lookout Mountain, and with a chuckle he said, "I rolled a heavy wagon wheel down the mountain on the enemy soldiers, and you should have seen them scatter. They had to stand aside and let it go through their lines." He was one of the escorts of President Jeff Davis, but was captured and sent to Federal Prison at Ft. Delaware. He was known to have rode a white horse during the time he was in service. On May 9, 1865, he was paroled by Abram Lot. The Federals took his horse and his side arms and allowed him to come home." Confederate soldier Felix Grundy Bilbrey was considered an outstanding citizen of Overton County. He died at the age of 91 and was Livingston oldest citizen at the time of his death. 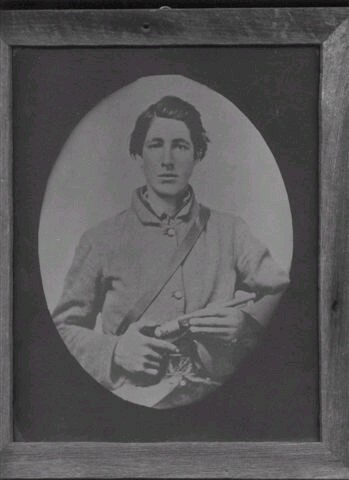 "The Bilbrey family is one of the largest and most outstanding in Overton County, and Esquire Felix Bilbrey was a fine representative, both as a soldier and a citizen. He was educated at Okalona and Roaring River public schools. One of twelve children, he was son the William and Sarah West Bilbrey. He was first married in 1871 to Miss Emiline Moredock to whom two sons were born, Sidney Johnson Bilbrey and Ridley Timberlake Bilbrey. Emiline died in 1883, and in 1893, Felix married Miss Sallie Jackson. One of Felix’s brothers, John C. Bilbrey, drowned at the age of three in a watering trough. Felix G. Bilbrey was the oldest person living in Livingston at the time of death. He was 91 years old and had been a member of the County Court of Overton County for 40 years." Ridley T. Bilbrey, the oldest son of Felix and Emiline Moredock Bilbrey, inherited the home on Zachary Street. He lived there with his wife, Ruth West Bilbrey. They were the parents of Roscoe Bilbrey, Bill Bilbrey, James Bilbrey, Sarah Ruth Bilbrey Upton, and Flossie Bilbrey Wilmoth. The younger son, Sidney Johnson Bilbrey and his first wife, Maggie Lansden Bilbrey, had three daughters, Maude Bilbrey Mathis, Mabel Bilbrey Estes, and Sydney Bilbrey Winningham. Maggie Lansden Bilbrey died in childbirth with their only son who was stillborn. 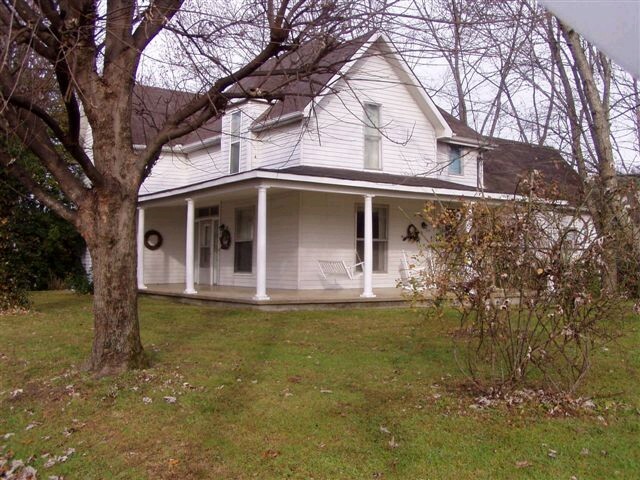 The Sidney Johnson Bilbrey home, presently the residence of Lee Carr Brown and husband, Billy Joe Brown, is located at 419 Henson Street in Livingston. Sidney J. Bilbrey married a second time to Lillian Bernard Bilbrey, but they had no children. Felix Grundy Bilbrey is the great-grandfather of Bill Winningham and David Winningham both of Livingston. They are the sons of the late Sydney Bilbrey Winningham and Gradis Winningham. Bill and David provided background information and the pictures for this story.